Castle Link™ ESC tuning is an essential component for customizing vehicle performance for many Castle Creations’ customers. While the controllers are plug and play, optimizing a Castle ESC through the Castle Link Programming Suite unlocks the full range of capabilities that set Castle apart from the competition. Users enjoy the ability to adjust many variables to enhance their experience including throttle, braking curve, drag brake, reverse type and more. The Castle B•LINK™ Bluetooth™ Adapter enables users to wirelessly program settings on current Castle Creations ESCs, many older models and the BEC 2.0/BEC Pro on Apple iOS devices: Requires iOS version 10.0 or higher. 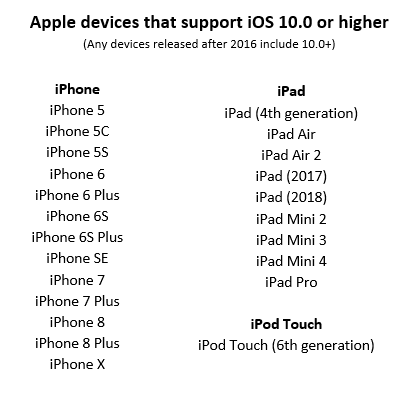 Click HERE for a list of compatible devices. A complete listing of compatible ESCs and accessories can be found here. The free Castle Link app for iOS is available on the Apple App Store for use with iPhones and iPads, and once downloaded, it does not require a data connection and can be used anywhere, including remote areas. For Android users, a version of the app will be released at a future date, and the B-LINK adapter will be compatible. WIRELESS BLUETOOTH COMMUNICATION allows you to interface with most Castle Link compatible ESCs and accessories to change parameters and update firmware. COMPACT AND LIGHTWEIGHT at 1.20" x .81" x .25" (30.48mm x 20.55mm x 6.55mm) and 0.23oz (6.62g), it can be installed in the vehicle or airframe without significantly increasing model weight. CONVENIENT WATERPROOF DESIGN allows you to quickly adjust settings in the field without disconnecting or disassembling the model. It can stay installed in the model or be easily swapped between models. FREE APP DOWNLOAD is readily available in the Apple App Store. Once downloaded it does not require a data connection so it can be used in the most remote of areas and won’t use data. EASY TO USE application can be used with multiple B-Link Bluetooth Adapters or can store model information and allow you to use one adapter on multiple models. PASSCODE PROTECTED with (user-selectable) 4-digit code to prevent unwanted tampering with your settings. SYNC information between multiple iOS devices by creating a free account (requires internet connection to sync database). View the Castle Link App screen shots in the MORE FEATURES tab below. View detailed specifications and additional resources for the B-Link Bluetooth Adapter in the SPECIFICATIONS tab below. Note: Castle B-Link Bluetooth adapter is not compatible with Castle Telemetry Link for Spektrum X-Bus and Castle Telemetry Link for Futaba S.Bus2. The B-Link can be used to adjust settings on the ESC; but it cannot be run in conjunction with the Telemetry Links. Availability: This item is in stock. The Castle Link App contains all of the same tuning options as the Castle Link USB Programming Suite used on a Windows compatible PC, now with even greater flexibility. Note: It is not possible to view data logs through the app at this time, but developers will continue to add features such as this. Castle Creations, Inc. warrants this product to be free from manufacturing defects for a period of one year from date of purchase. Click here for additional information about our warranty. Having previously used a Castle Link with an Axial ESC and 10A BEC, when I purchased my new Mamba X I decided to get this new B-Module. I am glad I did, works great and no having to disconnect everything to re-program it. I only wish the promised Android version would come out soon so I wouldn't have to use my work iPhone. Make it for Android users. Its great. But limited to people who only have apple products. Making it versatile would make it perfect so both android and iOS/apple users can use it. Please make one for android or a firmware that makes it for use with android. Works effortlessly and his I feel essential to castle ESC’s. Definitely enhances experience. Links while vehicle running and disconnects without power off so cool.